Aged in barrels for a minimum of 3 years. Exceptional vinegar aged in barrels. Let your palate invade its delicate scent of apple that will sublimate your salads. 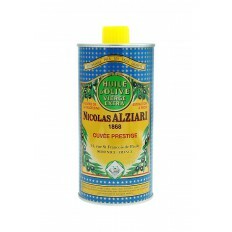 You can accompany this vinegar with our extra virgin olive oil Fruitée Douce. 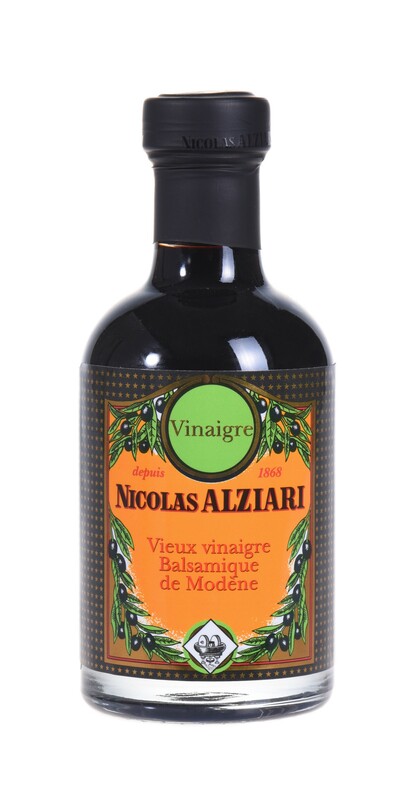 Probably one of the best balsamic vinegar. Developed in Modena, Italy, the world capital of vinegar. The vinegar goes to into smaller and smaller barrels and different woods (oak, chesnut, cherry, ash, mulberry...). The more concentrated vinegar is, the more the juices and more aromas developp the lower acidity. The longer one waits, the more it improves and takes on a sweet flavor and dark complexion. The softness of this caramel-colored elixir is combined with a light woody acidity/ The vinegar has been aged for a minimum of 3 years. 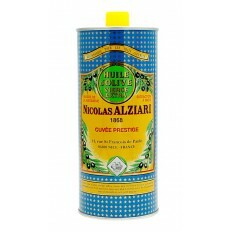 We can not advice you to use our pourring cap which adapts as well on our oils as on our vinegars, which is essential .Balsamic Vinegar of Modena (Protected Geographical Indication) Ingredients : wine vinegar, grape must concentrated, contains sulphites.